A lawsuit against Uber by Alphabet's self-driving unit, Waymo, has been referred to the U.S. Department of Justice for an investigation of possible theft of trade secrets, escalating the battle between the two companies. In referring the case, U.S. District Judge William Alsup also granted Waymo a partial injunction against Uber's self-driving program, and rejected an Uber motion to have the civil case continue in private arbitration, Reuters reported. The injunction decision is under a temporary seal. Waymo —previously a project within Google —has accused one of its former workers, Anthony Levandowski, of stealing more than 14,000 secret files before leaving. He then founded the self-driving truck firm Otto, which was bought by Uber just months later. The stolen information is allegedly being used in Uber's LIDAR system. Uber hasn't denied that Levandowski took files from Waymo, but insists that they weren't used in its technology and never even made their way over to the company. Waymo previously asked for an injunction that would prevent Uber from using any trade secrets and block Levandowski from work on LIDAR. 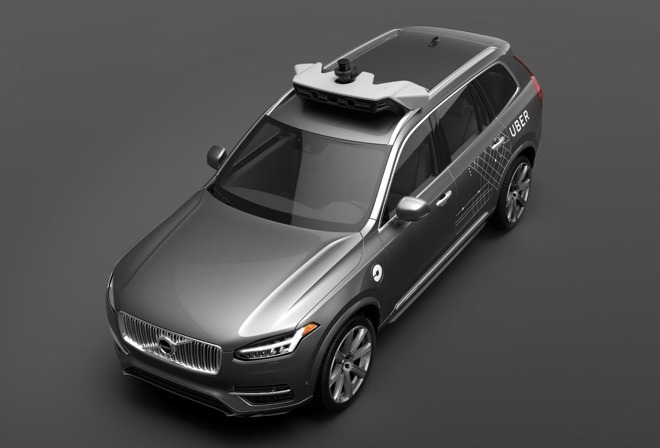 Uber, however, had already temporarily sidelined Levandowski and announced it was amenable to an injuction formalizing the situation. For his part, Levandowski has pleaded Fifth Amendment rights against self-incrimination and refused to testify, something Alsup complained is making the case difficult for both Uber and Waymo. Waymo is often considered at the forefront of self-driving car development, having done research for much longer, including tests on public roads. Recently it expanded a trial ridehailing service in Phoenix. Uber was actually first to use self-driving cars in ridehailing, but has since run into numerous problems, most infamously having to temporarily shut down efforts in San Francisco because it didn't have permit, and later suspend tests in three states because of a crash in Arizona. Apple's self-driving program is only just beginning public tests, using modified Lexus RX450h SUVs. The company is in fact trying to hush public disclosures. Long-term goals are unknown, though the company is expected to decide later this year —if it hasn't already —whether to resume work on an Apple-designed car, or simply partner with one or more existing automakers.